London, The Arab Weekly – At a time when the plight of Syrian refugees domi­nates the headlines, a non-profit start-up in Lebanon is helping Syr­ian refugees help themselves while providing a valuable Arabic lan­guage resource to international stu­dents. 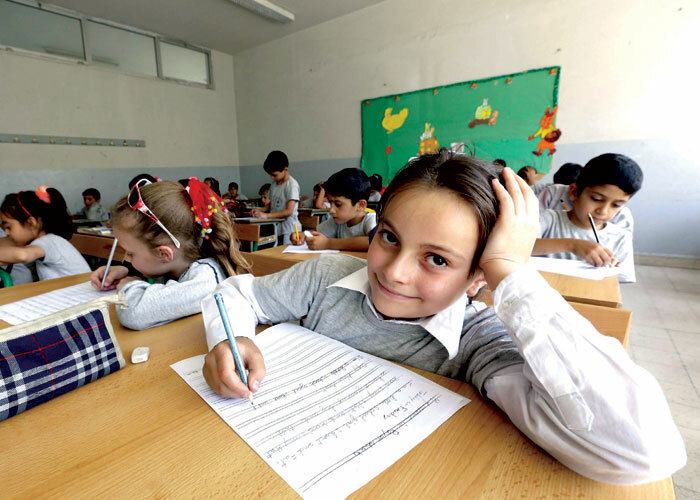 NaTakallam — “We Talk” — is a new language-learning platform which seeks to connect Arabic lan­guage learners in the West with Arabic conversation partners, spe­cifically Syrian refugees in Lebanon, over Skype. Created by Columbia University graduates Aline Sara, Anthony Guerbidjian and Reza Rah­nema, NaTakallam is in its infancy but already making waves. “It kind of just happened organi­cally, with some friends, with no major blogging or tweeting or ad­vertising. Because people are very aware of the refugee crisis today, NaTakallam got shared and went vi­ral in our little community of people interested in Arabic and the Middle East. It went faster than we expect­ed,” Sara said. NaTakallam began as a pilot pro­gramme for the Columbia Venture Competition and was launched as a pilot study for a World Bank compe­tition. Although the idea did well in both competitions, it failed to make the final cut. But the co-founders moved ahead with the backing of Beirut-based non-profit SAWA for Development and Aid. NaTakallam has about 12 paid Syrian “conversation partners” who speak to around 60 students across the world, most of them in the Unit­ed States and Europe. “We’re cur­rently actively recruiting because the demand is much higher than the supply [of conversation partners] that we gathered for the pilot study. The supply is there, and we’re now trying to recruit them on the pro­gramme,” Sara said. Arabic is a relatively difficult lan­guage to learn, consisting of both a formal “classical” or standard form — fus’ha — and a colloquial form — amiyah. It is the latter, which is used in everyday encounters, the Syrian conversation partners are teaching. “The idea is that you don’t need to have a background in teaching. It’s about conversations,” Sara said. Western students, most of whom are seeking to put theoretical Arabic language learning into practice, are happy to be able to improve their language skills while also helping the refugees. More than this, Na­Takallam brings people together. “When I speak with Hosam, it doesn’t feel like work. I enjoy it. I hope that we will remain friends even if the classes stop and that one day we can meet in person,” she added. NaTakallam is more than just a language resource for Western stu­dents. It is helping Syrian refugees stranded in Lebanon, their lives on hold while conflict rages in their home country, to do something positive. More than 1 million Syrians have registered as refugees in Lebanon, although the number of Syrians in the small Mediterranean country is likely higher. “One out of every four or five people in Lebanon is a Syrian refugee, mostly with no right to work and in a difficult situ­ation. NaTakallam gives them a chance to bring something to the table,” Sara said. Depression and post-traumatic stress are facts of life for refugees in general. Living in a precarious state between the past and an uncertain future, with their personal lives, studies and careers on hold, Syrian refugees live in a state of perpetual anxiety. NaTakallam, in some small way, also aims to address that. “Many Syrians are dealing with depression, feeling that every­thing they’ve done, everything they’ve worked towards, is now just useless,” Sara said. “So with Na­Takallam they are bringing some­thing to the table again and that’s great.